The evening includes a sumptuous catered meal by The Blind Angler Grill, libations from the View Winery including a champagne reception, a photo booth to capture some ‘girls night out’ memories, a great fashion show from Galleria Fashions Boutique and a reverse prize draw. Every tenth diva wins a prize with the final winner receiving a beautiful piece of jewellery generously donated by JK Schmidt’s Jewellers. 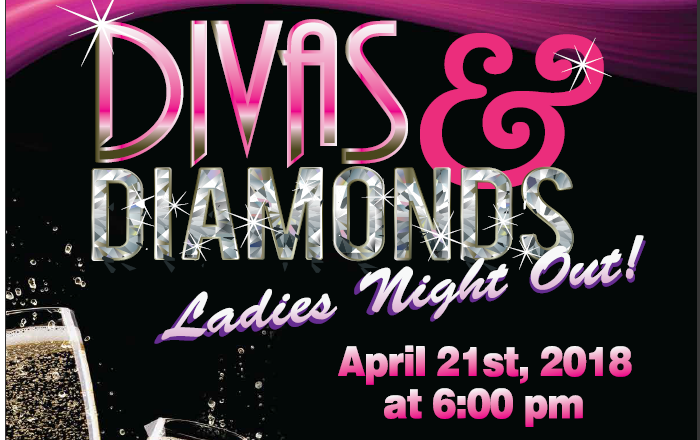 Fantastic chance to get together with your girlfriends in a fun environment where the sole focus is the Diva in you! Watch for some great additions to this year’s event that will make the evening even more fun!